Extra peace of mind and an extra set of eyes when you're on the road never hurts. Get both when you grab the GEKO full-HD 1080P dash cam for 40% off at Techlicious Deals. At just $59.99, this powerful dash cam is well worth the money. Keep the compact device on your dashboard and you'll get crystal-clear video day or night, in any weather condition—in the event of a collision, you'll have objective footage to turn to. The emergency recording function will even start recording when it detects impact, drastic braking, or sharp turns. And just 2.5 inches long at its largest, the GEKO won't get in your way or block your view of the road. 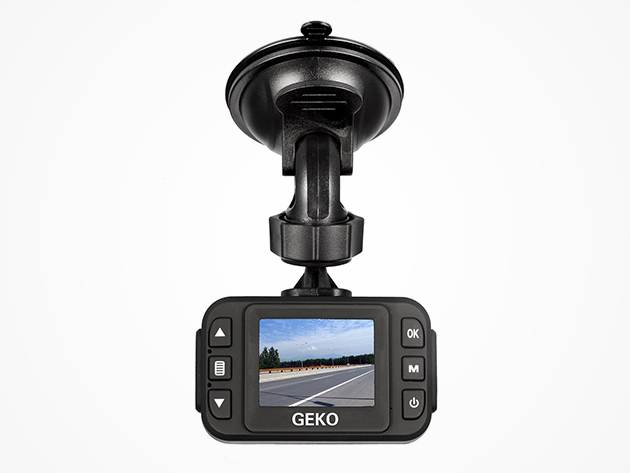 Get the GEKO full-HD 1080P dash cam for $59.99 and free shipping at Techlicious Deals.